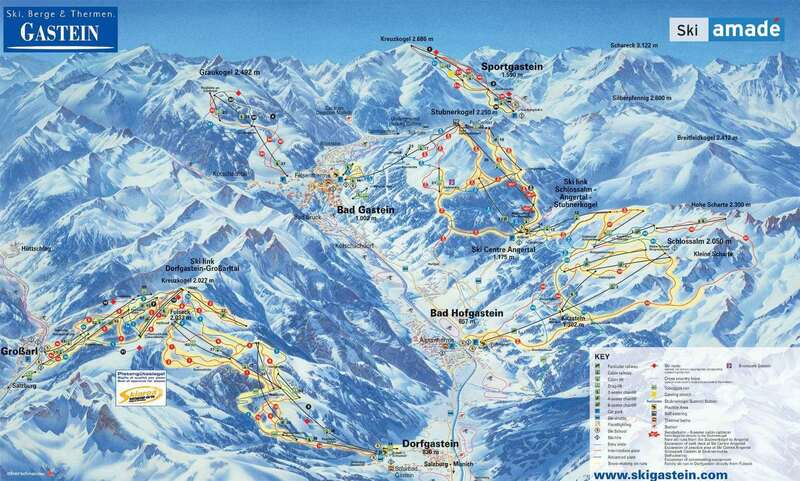 The extensive Gasteinertal ski area is one of the largest in Austria. The attractive town of Bad Hofgastein has bustling centres and excellent amenities, not to mention the famous spas. 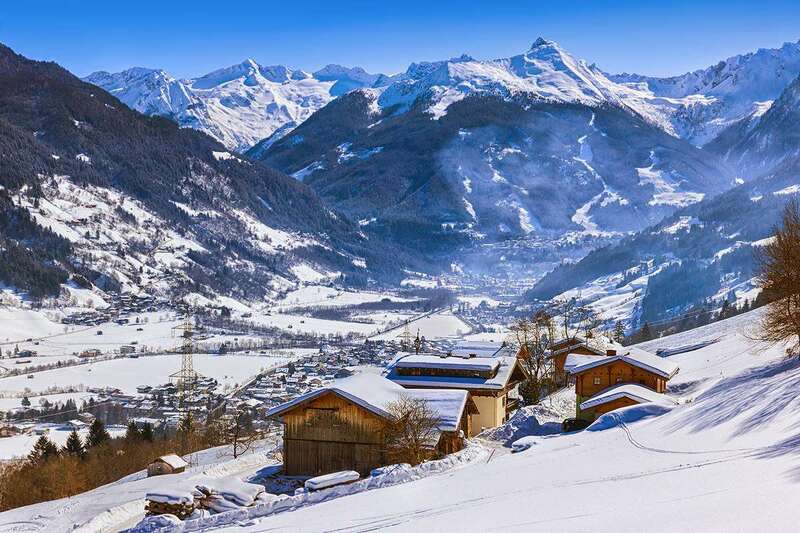 Bad Hofgastein is the quieter of the two resorts with cobbled streets and a relaxed approach to après ski. Bad Gastein attracts those looking for a great nightlife - begin with après ski' and continue into the early hours. The skiing and boarding is superb - you need almost never take the same piste twice in a week, and if you head off-piste with a guide the area almost doubles again. Bad Hofgastein is friendly with a nice atmosphere. There are a variety of bars, cafés and discos. Try Almstadl, Gecco, Salute and Piccolo. • Stylish shops and boutiques • Banks • Many lovely winter walks • Excursions to Salzburg. What better way to soothe those tired muscles than by relaxing in a warm thermal pool while looking up at the snowcovered mountains. Both Bad Hofgastein and Bad Gastein are famous for the thermal waters hidden within their mountains - people have been attracted here to bathe in these 'healing' waters for hundreds of years. The current 'spa' centres were renovated in 2004 and now offer state-of-the-art leisure facilities. The 'Alpen Therme' consists of 6 worlds of spa heaven so there is something for everyone: spa beauty treatments, indoor and outdoor thermal pools, saunas and steam rooms, relaxation rooms, a separate 'Children's World' and much, much more. Spa centre is open daily from 10.00am-10.00pm. A variety of entrance tickets are available.